Leading companies like Buffer, Zapier, and InVision are boasting fully remote workforces—and other organizations are following suit. Why? As it turns out, remote workers are more productive and happier overall than cubicle-dwellers. In parallel with the remote work trend is a broader Millennial movement in which young professionals are placing more value on experiences, and the freedom to have those experiences, than they are on material possessions. A recent study from AND CO found that among freelancers in particular, freedom is a form of currency in and of itself: 68% of independent workers said their quality of life has improved since going out on their own, and less than 10% said they did so for the financial upside. The convergence of the independent work movement and a desire among young professionals to see the world have given rise to a growing cohort of digital nomads—that is, people who have untethered themselves from a traditional lifestyle to become transient professionals in cities around the world. This model upends the traditional notion of the American Dream, which involves setting down in a single place, buying a house, and staying there forever. Curious about what it takes to make this dramatic leap, we consulted more than 100 digital nomads living and working around the world to hear about their experiences and advice for people who are considering this upwardly trending lifestyle. We compiled all of this into a 150+ page book, ANYWHERE, which you can download for free. One of the best tips we heard in our interviews with successful nomads? Use the 70-20-10 Rule when transitioning to a nomad lifestyle. Coined by Joshua Hayford, a nomad currently based in Denver, this principle posits that becoming a nomad is 70% research, 20% preparation, and 10% improvisation. As a nomad, there are a lot of things you’ll need to learn about before making any big decisions. Which cities appeal to your tastes and provide the proper support structure for digital nomads? Within those cities, where will you live and work? How will you get around? And how often do you plan to move around? All these open-ended questions need to be addressed before taking a leap. Our advice: approach your transition like a project. Map out all of the key areas you need to research and prepare for well in advance, and lean on fellow nomads for their advice and best practices. 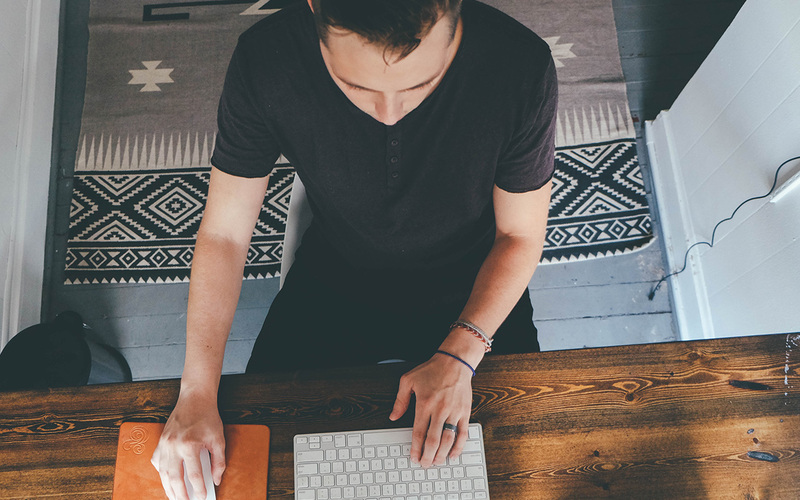 Image via Upwork: Designing with remote teams. Of course, you can map out a detailed game plan for transitioning your life to that of a digital nomad, but there will always be curve balls thrown your way. For that reason, it’s important to leave room for flexibility. This is as much of a mindset adjustment as it is a financial one. Understand that no matter how much homework you’ve done, there will still be times when you need to alter your course or make adjustments along the way. Have an open mind and a positive attitude in these situations. Financially, you need to be prepared for the unexpected. What will you do if your MacBook breaks in a foreign country? How will you react if your client work dries up while you’re abroad? More seriously, how will you react if a global crisis or natural disaster strikes? Before making the leap, build up a healthy savings account with easily accessible funds should you need to make a big purchase, or buy a last-minute plane ticket, while abroad. One of the keys to finding success as a digital nomad is being an expert communicator. Hundreds, or perhaps even thousands, of miles of away from your team or your clients, will make face-to-face interaction impossible. Tools like Sl0ack and video chat exist to reduce the friction of communication, but you’ll still need to put a substantial amount of effort into being as clear and straightforward as possible. At times, this might mean over-communicating. Reiterate next steps, summarize meeting notes and action items, and set calendar invites for touch-bases. If language barriers exist between yourself and the teams you’re working with, practice a simple and straightforward communication style that avoids jargon and colloquialisms. Finally, since relationships matter, take the time to use technology to get to know your colleagues on a personal level. Lean on video for more personal interactions, and participate in Slack channels to immerse yourself in the culture of the team. If you’re an independent digital nomad, you’re responsible for running yourself like a business. You’re the CEO, CMO, COO, CFO, and then some. Managing billable hours across time zones on top of all of your other obligations can lead to heavy workloads that detract from your ability to enjoy a city during non-work hours. Fortunately, there are several tools that nomads can rely on to keep their work and travel lives in order. 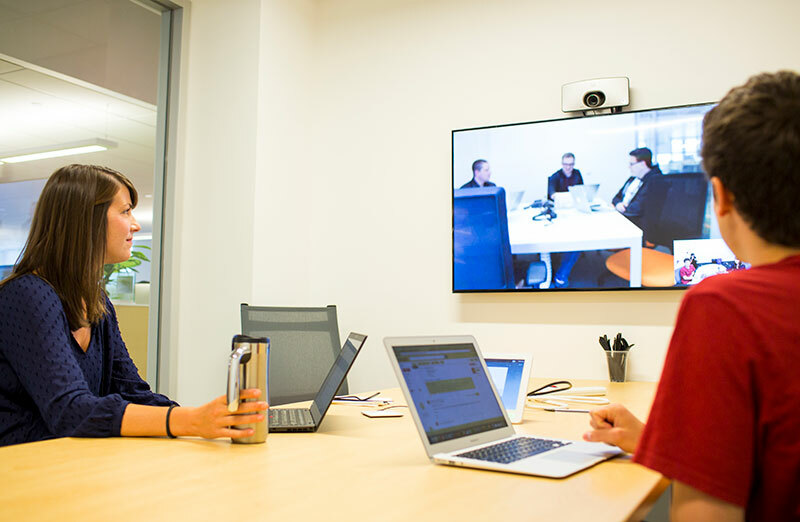 A remote meeting at HubSpot. Read more: Re-thinking design with HubSpot’s Austin Knight. Project management tools like Asana and Trello are essential for keeping projects on task. Accounting software like AND CO can save heaps of time by automating things like contracts, invoicing, expense reporting and more. Other resources, like Grammarly for working with teams who speak different languages and Calendly for managing calendars across time zones, can also be beneficial. The key is finding the right mix of tools that work for you. One of the more surprising findings in our interviews was that many nomads recommended going off-the-beaten path to secure housing while living and working abroad. Several nomads recommended house-sitting as a viable means for securing affordable housing. Resources like TrustedHousesitters make it easy to pair up with people who are looking for reliable people to take care of their homes (and their pets!) while they’re away. Beyond house-sitting, nomads suggested to search for housing in the native language of the region you’ll be visiting. Ths ensures that you are not subject to tourism rates, which may be inflated. Another tip is to schedule a Skype chat prior to booking, so you and the apartment or homeowner can speak face to face before any money is exchanged. Unsure of an area? MyLocalCrime is the most comprehensive database of neighborhood crime data in the world. 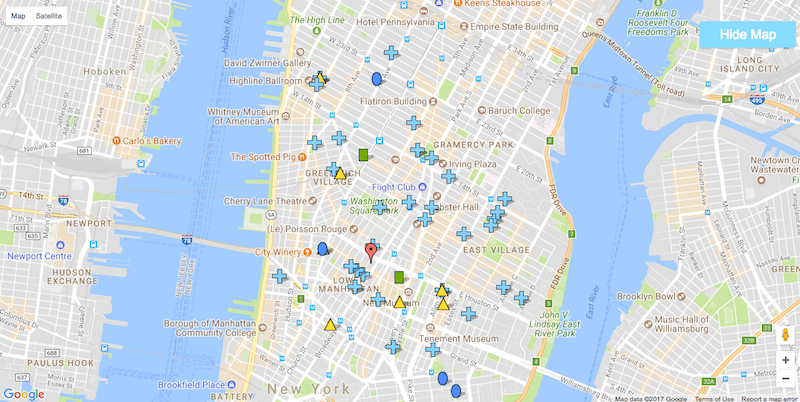 MyLocalCrime map for New York’s SoHo neighborhood. Becoming a digital nomad isn’t easily improvised. In most cases, just “winging it” will result in overspending or having a less than ideal experience—but failing to understand visa and tax laws could lead to more serious consequences. For visas, a good starting point is VisaCentral, which provides a free lookup tool for visa requirements. The next step is to visit the embassy page for the country you intend to visit and file paperwork several weeks ahead of your intended move date to allow time for the paperwork to be processed. As an added tip, check out the US Department of State’s travel alert page, as well as the CDC’s travel health database, prior to picking your future host city. Most nomads living abroad will still be responsible for paying US taxes. Independent workers will want to set aside 30-40% of their income to cover tax obligations. If you’re new to the process, you might want to seek the counsel of a registered accountant—their advice will likely be well worth the piece of mind. There’s no point to traveling the world if you plan to spend all of your days stationed in a coworking station, surrounded by fellow nomads. While there are bustling nomad communities in cities around the world, Nomad List is the preeminent listing of such locales, ranked by nomads themselves—you’ll make the most of your experience if you step outside of your comfort zone and connect with the local community. NomadList provides an elegant database of cities as ranked and rated on by digital nomads. One way to make these connections is to use Couchsurfing and its new Hangouts app, which makes it easy to set up casual meetups with locals. A more analog way to immerse yourself is to head to a coffee shop or bar alone and strike up conversation, or find local organizations in need of volunteers. In a recent AND CO survey of freelancers worldwide, 60% said they’d be interested in pursuing a nomadic lifestyle in the future. If this unique mix of adventure and career is calling out to you, our best advice is to start your research early and be prepared to be flexible along the way. Don’t forget to pick up your free copy of ANYWHERE. If you liked this post, you might love our recent piece on Remote Year. 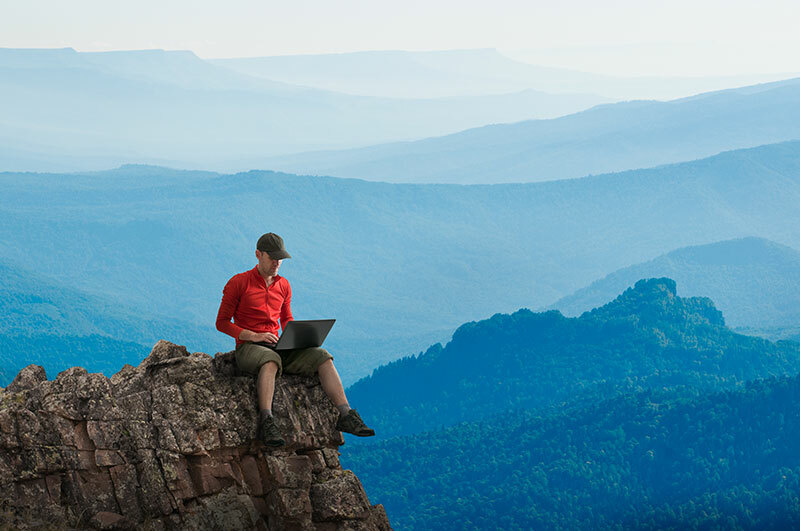 Check it out and let us know if you’re going to make the jump into digital nomadism.